Like humans, some dogs can suffer from a food related intolerance to grains which can manifest in many ways including: Itchiness, excessive hair loss, bald patches, inflamed skin, sores and scabs. Field & Trial, Grain Free Chicken & Sweet Potato has been specifically formulated to exclude ingredients known to cause such sensitivities. Chicken meat meal (30% dry weight), Sweet potatoes, (25%) potato flakes, Chicken fat, Peas, Whole linseed, Beet pulp, Brewer’s yeast, Vitamins, Minerals and trace elements and culinary herb blend. 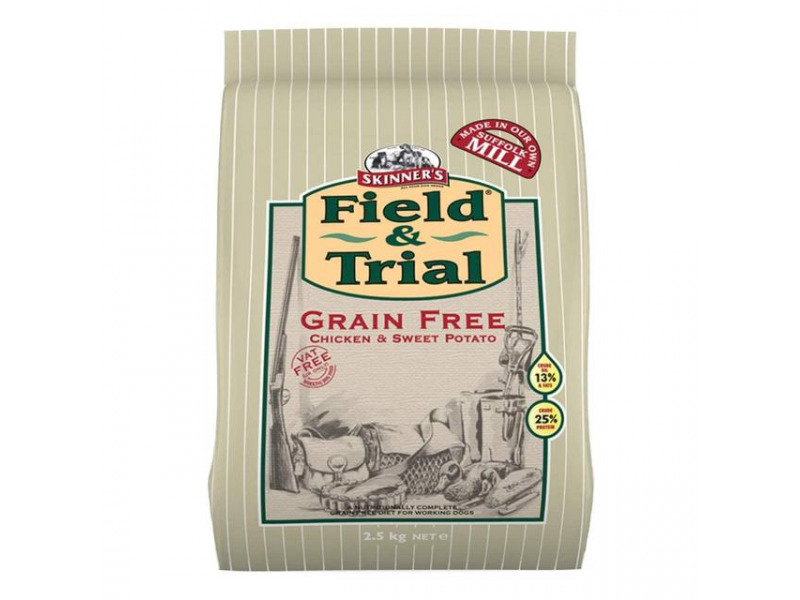 There are currently no questions for Skinners Field & Trial Grain Free Chicken and Sweet Potato - be the first to ask one!